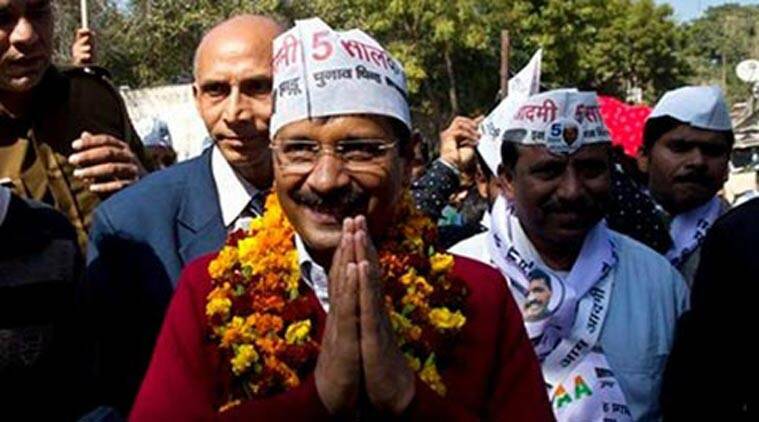 AAP leader Arvind Kejriwal said he had a 10-point plan ready to reassure women about safety on the streets. Yet working with police is one area where he anticipates a problem given that Delhi is a half-state with no powers over police and land. One of the first acts of the incoming AAP government in Delhi will be implementation of a 10-point plan to step up security for women, a talking point in the run-up to the vote. In an interview to The Indian Express a day before votes were cast, AAP leader Arvind Kejriwal said he had a 10-point plan ready to reassure women about safety on the streets. “We plan to introduce CCTV cameras across Delhi, ensure there is a security guard on every bus and a security-button app in mobile phones which a woman simply has to press to call police. Street lights will be made functional and the black areas lit. We also plan to move on fast-track courts,” Kejriwal said. Women’s security was one of the seven AAP priorities he listed: end bribery, bring down prices, 24-hour power supply at half the rate, water supply to every home, security for women, education and health. “We will keep on fighting for full statehood. But till such time, we will need cooperation from the Centre and police. We are looking at constructive cooperation and I hope they reciprocate. this time, we will deal with police in a different way. I have studied the law and Constitution. There are openings available for the Delhi government to work with the police,” he said. “You need to have the political will to ensure infrastructure, autonomy and accountability. The first two are easy. If you have the political will, pump in money to build the infrastructure. If you have the political will, give power to the headmaster or principal, do not interfere,” he said. “To seek accountability, you have to send a message. Create facilities to let teachers know we care for you… accountability can also be achieved through reward and punishment. Reward good performance, punish bad performance,” he said.